Why book an Olympic sprinter? Olympians are some of the most inspirational people in society who are living examples of what can be achieved if you set your mind to it. 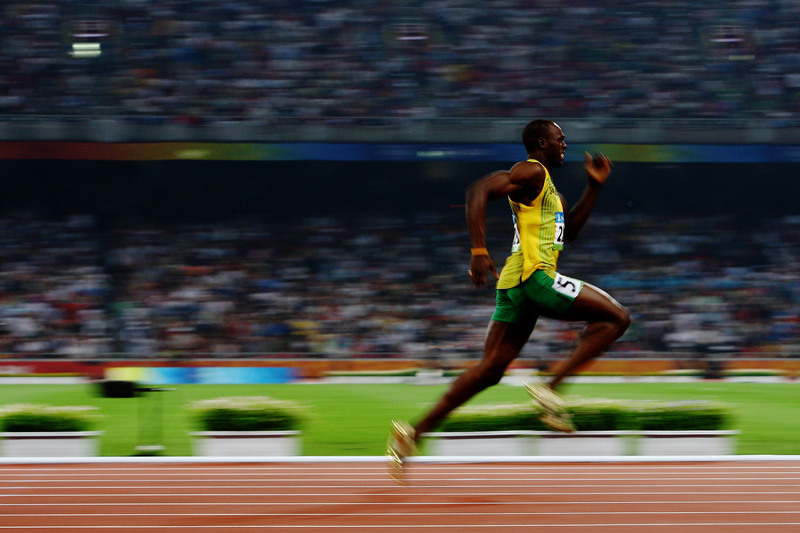 There are a whole host of Olympic sports and events which people compete in at every Games, but perhaps one of the most demanding of them all is sprinting. Training for four years, everything comes down to just a few seconds, so these Olympic speakers are the ideal people for a range of speaking occasions. Sprinting has become one of the most eagerly anticipated sports at the Olympics with over 20 million people in the UK (30% of the population) watching the 2016 100m final in Rio de Janeiro. Whether it be Usain Bolt setting a new 100m world record in 2009 (9.58 seconds), or Derek Redmond’s emotional hamstring tear in the 400m semi-final at the Barcelona Olympics in 1992, the sport has grasped the attention of the world. Sprinters make fantastic keynote speakers for several reasons. As well as being able to discuss the qualities that saw them reach the top, they also have some fantastic anecdotes from their sporting career which can delight audiences for hours. Champions Olympic Speakers have compiled a list of reasons of the benefits booking an Olympic speaker can have. Being an Olympic sprinter can sometimes feel like one of the loneliest disciplines in sport. With no teammates to rely on, success solely depends on the decisions made by the athlete. Of course, there are always competitions going on, but the Olympics are the pinnacle for a sprinter and their four years of training are focused on performing to their best at the Games. With this in mind, when training, a successful Olympic sprinter will always maintain the end goal in their heads and not letting anything deter them from concentrating on this aim. Sometimes this will result in having to make personal sacrifices. Their hard work and dedication to the sport means that often they will have to put their training before anything else including socialising with friends and family and doing things they enjoy. However, if they make it onto the Olympic podium it will all be worth it. This is something they are able to help with at speaking engagements. By helping you focus on what you want to achieve, you will be able to prioritise the most important aspects of your life and make these things clearer. Most sportspeople have relatively short careers due to the nature of the industry. They are usually at their peak fitness level during their younger years and so it is crucial to make the most of their career while they can. One serious injury and their career could be over in the blink of an eye so they need to give their absolute all when they can to ensure that when they do hang up their running shoes they have no regrets. This is something that transcends sport and Olympic speakers can bring to all of their events. Encouraging people to grasp opportunities when they come along, whether in people’s personal or professional lives, they have the ability to inspire people to not wait around, but to be proactive and go out and make things happen for themselves. The majority of successful sprinters have full confidence in their ability and this is a big part of what has seen them triumph on the track. For example, Usain Bolt exudes confidence whenever he is on the track and conducting interviews with the media and it is clear he fully believes in himself and this has played a key role in making him an eight-time Olympic gold medallist. At their speaking engagements, they are able to instil confidence on audiences making them see that it is possible to achieve whatever they set their mind to. Whether you want to be a success in sport or any other area of work a little self-belief can go a long way. Here at Champions Olympic Speakers, we have a range of sprinters and athletes from other disciplines who are perfect for all events and conferences. For booking information call +44 1509 85 29 27 or complete our online booking form.